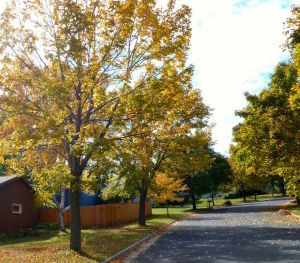 Listed below are homes for sale in Skyview Meadows, a neighborhood located in Southwest Madison, WI. Listings are updated multiple times a day from the SCWMLS. For more information about any of these Skyview Meadows homes for sale, just click the "Request More Information" button when viewing the details of a property. We can provide you with disclosures, past sales history, dates and prices of homes recently sold nearby in Madison, and more. And, for your convenience, register for a free account to automatically receive email alerts whenever new Skyview Meadows listings come on the market that match your search criteria. 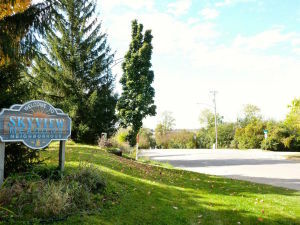 Abundant parkland and newer homes are the highlights Skyview Meadows. 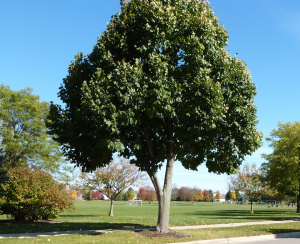 Neighbors established Raymond Ridge Park in the northwest corner of the community in the 1990s. Those efforts brought play equipment, a baseball diamond and more than 100 trees to the park. More expansion is planned, too. Skyview Meadows neighbors are friendly and familiar with each other. There are plenty of opportunities for children and adults to connect. The community has drawn residents from various towns, states and countries, which makes for an eclectic and vibrant neighborhood. 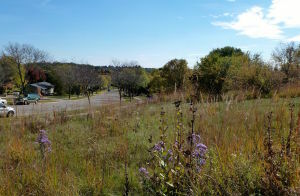 Skyview Meadows was developed on a hilltop on Madison’s south west side in the late 1980s. The neighborhood is exclusively residential and offers a variety of single-family homes. Large, two-story homes with expansive yards can be found throughout the community. Mature trees that line the streets also make for private, secluded yards. A number of condominiums and town homes bring versatility to the neighborhood’s housing stock. The neighborhood is quiet because of neighboring parkland and television studios with expansive green space. The Channel 3000 studio is located directly northeast of the community, and Raymond Ridge Park is located directly west. Raymond Ridge Park unfolds south into Prairie Ridge Conservation Park. There, neighbors enjoy nearly 50 acres of green space and trails for jogging, biking and snowshoeing. A greenway that extends past Skyview Meadows’ southeast border connects Westhaven Trails Park, Waltham Park and Pilgrim Park. Elver Park is located north of Skyview Meadows along Raymond Road. Skyview Meadows is surrounded by parkland and trails that make it easy to enjoy the rolling landscape of southwest Madison. Surrounding communities are nearby with Downtown Madison about nine miles northeast of Skyview Meadows, and Middleton is about six miles west of the neighborhood. A vibrant commercial area along Gammon Road that includes West Town Mall is about three miles away. Hilldale Mall and the University Avenue commercial corridor is about six miles northeast of the community. For information about finding a home in the Skyview Meadows neighborhood or to sell your Skyview Meadows home, contact our team for a better real estate experience. Skyview Meadows neighborhood is located on the South West Side of Madison in MLS area Madison – W15. Below are more homes for sale in that area.